May 1938. 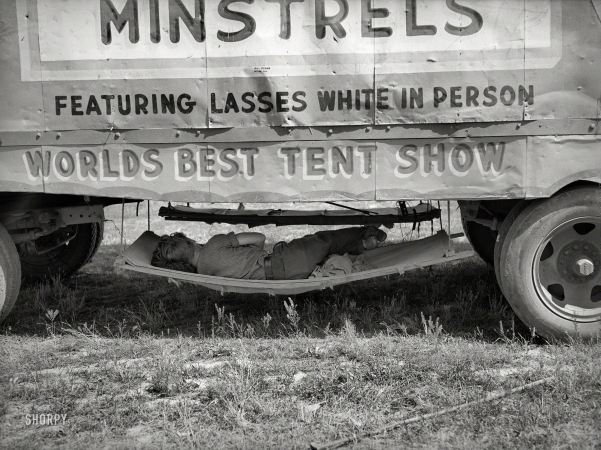 "Carnival employee sleeping in hammock underneath wagon of Lasses White show. Sikeston, Missouri."